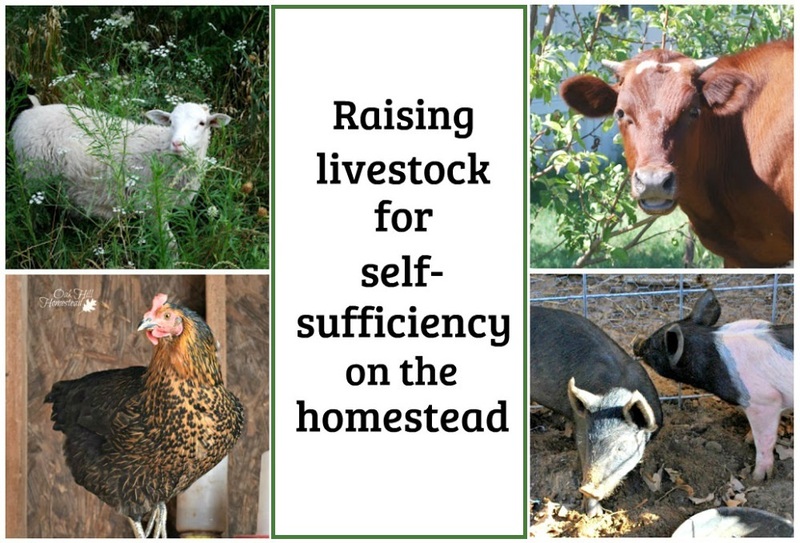 Many families who live a homesteading lifestyle raise some kind of livestock, even if it's just chickens, rabbits or goats. It's no wonder, really. Small livestock don't require a lot of space, are less expensive than larger animals, and are relatively easily-managed. And the benefits of raising livestock are huge. You don't have to raise your livestock for meat purposes. Small livestock can also provide eggs, milk and fiber, as well as clearing land, keeping the grass mowed, providing fertilizer for the garden, and more. This by far is my favorite purpose for my poultry. I enjoy watching my hens going about their daily chicken-business. Laying chickens not only provide eggs, they also provide manure to compost for the garden, pretty feathers for craft projects, and they eat bugs and table scraps. I call them my garbage disposals. 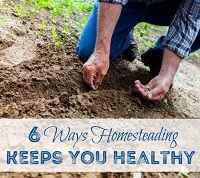 Some folks put their chickens to work by letting them scratch up and turn garden beds over the winter, turn the compost pile, and even clear out grass and weeds from a future garden plot. Here are six ways to preserve all those excess eggs and what to do with an abundance of eggs in the spring. While we've raised a steer, hogs and sheep for the freezer, raising meat chickens is by far the easiest and fastest way to put meat on our table. Plus chicken is so versatile in the kitchen, at least in my opinion. There are at least 1,001 ways to prepare it for dinner. Requiring a time investment of just 6-9 weeks or so, Cornish cross chicks will grow from tiny chicks that weigh just a couple of ounces to butchering weight right before your very eyes. 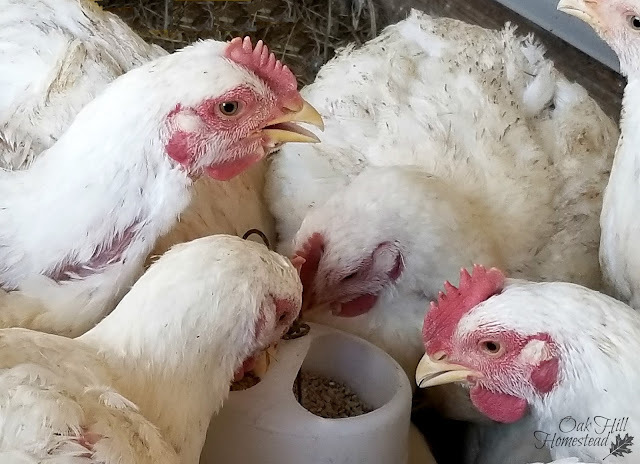 My biggest advice when raising these birds is to know that they require more and more feed as they grow, so keep an eye on them and regularly increase the amount of feed you provide for them. If, one day when you go in the coop to feed them, you're afraid they're going to attack and eat you - well, you need to give them more food! If you don't keep up with their consumption needs, they will eat dirt and their own feces, and let's face it, what an awful life that would be even though it's short. Plus they'll taste pretty awful. Hey, I'm just keeping it real. 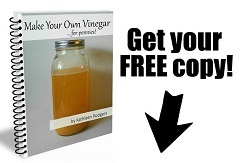 Scrub their waterer and feed bowls often too: their personal habits leave a lot to be desired. Some homesteaders would rather raise a slower-growing breed than the Cornish cross. We've done that as well: we've taken our extra black Australorps and Rhode Island reds to the processor. 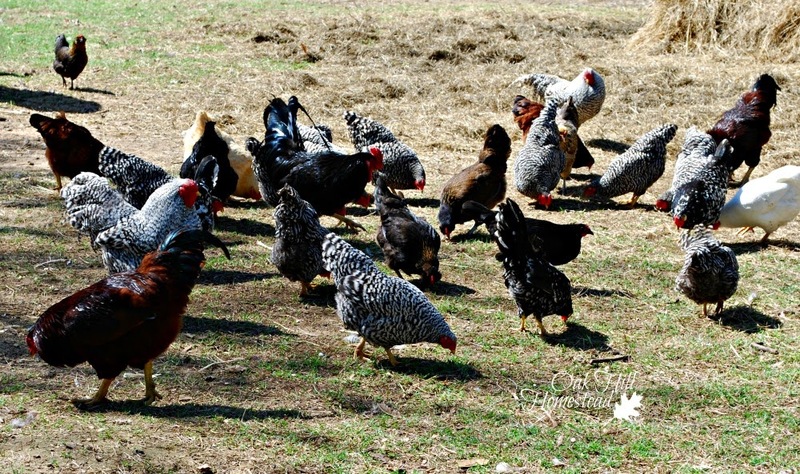 This post compares meat birds to heritage breeds and might help you decide which to raise. I love ducks and geese. They are clumsily beautiful and have enormous personalities. Some homesteaders raise them for their eggs which are great in baked goods. Ducks are great bug control in the garden; they are less likely to eat the plants as well as the bugs. Geese double as a homestead alarm system. Muscovy ducks are famous for their mosquito-catching abilities. Some homesteaders raise them for meat, saying that it tastes like sirloin. I can't dispute that since I haven't tasted it. My Muscovies lay large clutches of eggs three times a year; I sell the ducklings after they hatch. Guinea fowl are also popular homestead poultry. They are excellent flea and tick eradicators. Our guineas slowly disappeared as predators caught them; the following year we were guinea-less and we definitely noticed the increase in ticks. Our guineas also warned us when snakes were near the house, which was a nice side benefit of having them. We haven't raised pigs in the sense that we have a female that farrows (has piglets). Instead we've purchased piglets from friends and raised the feeder pigs for our freezer. Feeder pigs require an investment of about nine months to reach butcher size. My main "con" about pigs is that they like to escape. Often. I taught our first little piggies to "come" by calling them when I fed them in their pen. They quickly associated the sound with food and would come running from wherever they'd gotten to when they escaped. Finally an older farmer told hubby how he kept his pigs inside the fence: he dug down a bit along the fenceline and laid wire fencing on the ground inside the pen, wiring the long edge of the fencing on the ground to the bottom of the standing fence. Does that make sense? In other words, he formed an "L" with two lengths of fencing. By wiring the two edges together and then burying the horizontal fencing, the pigs were unable to dig out or lift up the bottom of their fence to escape. It's twice the investment in fencing but it's worth it. Pigs can also be used to clear a future garden; they till up the ground very efficiently. They turn table scraps, extra milk and eggs into meat for your freezer. Awesome! And if you have both a boar and a sow, you can have a steady source of meat on your homestead. Hog manure is not recommended for the compost pile. And then there are the goats. Funny, personable, always in trouble. A great source of so many good things too: milk and all the resulting dairy products you can make from milk, plus meat and manure. Goat milk can feed your pigs, chickens, farm dogs and barn cats as well as your human family. You can make soap with milk. You can make yogurt, cheese, butter and more. Their manure is excellent garden fertilizer, and they can clear land like nobody's business. They'll even eat poison ivy and wild blackberry canes. They can also eat your rosebushes, but we'll just concentrate on the good stuff today, ok? 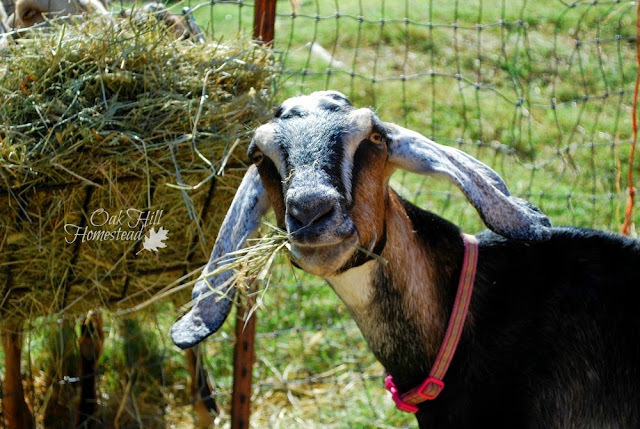 Like so many other species, goats come in both dairy and meat breeds. You can milk a meat goat and eat a dairy goat, but the meat and dairy breeds are best at their specific purpose. 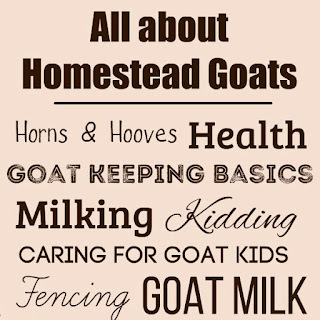 Rather than repeat myself, I'm going to refer you to this post that lists the top reasons why you should have goats on your homestead. For a couple of years we had half a dozen Dorper sheep. This isn't a wool breed; they are known as "hair" sheep and will shed their hair naturally rather than having to have it sheared. 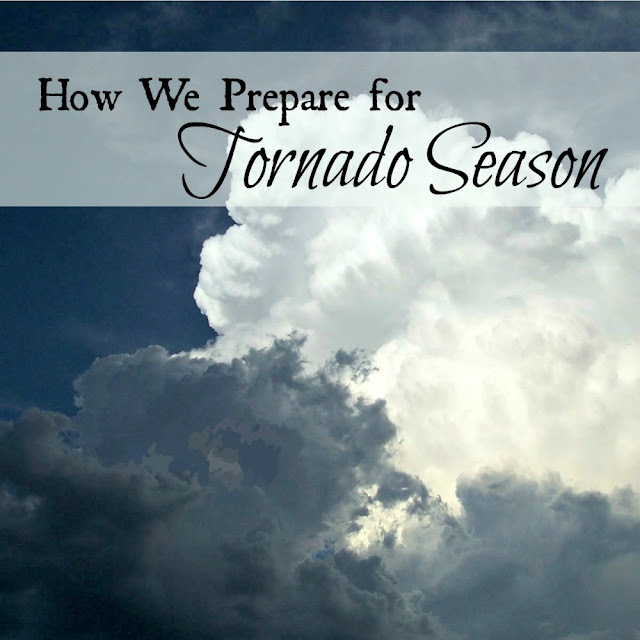 In our hot climate that's a good thing: one less thing we had to do to maintain our flock. Hair sheep are generally raised for meat instead of fiber. We ended up not caring for the taste, but the sheep were awesome at clearing and especially maintaining land. While goats browse, sheep graze. Goats prefer to eat shrubbery, vines and trees; sheep eat grass and weeds. This photo was taken the day we moved the lambs into their newly-fenced field. They ate all that growth down and kept it maintained and manageable. I opened the fence between their field and the round pen so they could mow that too. I was able to spend more time riding my horse in the round pen instead of mowing the grass in it. Sheep are much easier to contain than goats, so if the land you need cleared is mostly grass, weeds and maybe a bit of shrubbery, you might want sheep instead. 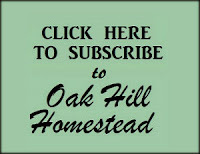 You can milk them too, if you buy the right breed; the East Friesian is the most popular dairy sheep breed in the USA. Icelandic sheep and Katahdin sheep can also be milked, although they don't produce as much milk. Wool breeds produce wool fiber. If you love the fiber arts, raising a fiber breed might be for you. 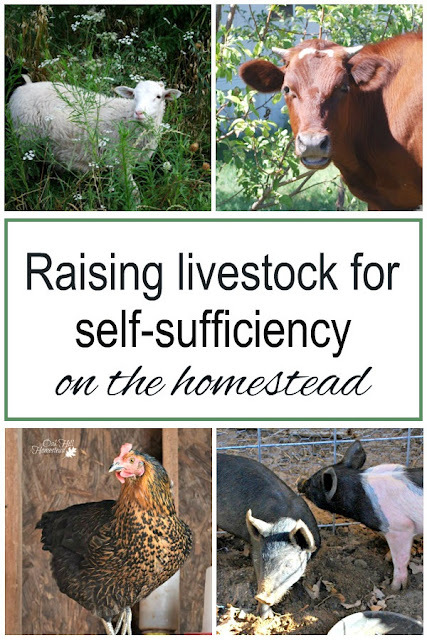 There are other types of homestead livestock too, of course. I have no experience with rabbits (at least, rabbits that don't die soon after we buy them) so I haven't discussed them here. Cattle - even just one dairy cow - require more land than many modern homesteaders own. We've raised one steer for the freezer but have no experience with dairy cows either. 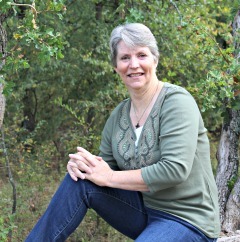 This month I've been collaborating with an awesome group of bloggers in this self-reliance challenge. 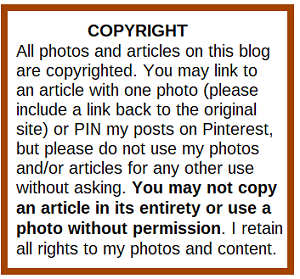 You can read more about it and find a list of the bloggers who are participating here. Yesterday we announced our Self Reliance Challenge MEGA Giveaway with nearly $200 worth of prizes! I know you'll want to enter this, so click here to go to the entry form, rules and list of prizes. 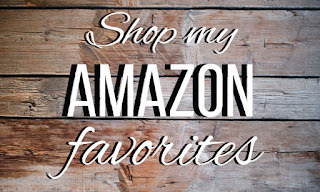 This post may contain affiliate links; if you click on a link and make a purchase I might make a small commission but it doesn't affect the price you pay. Read my disclosure here. 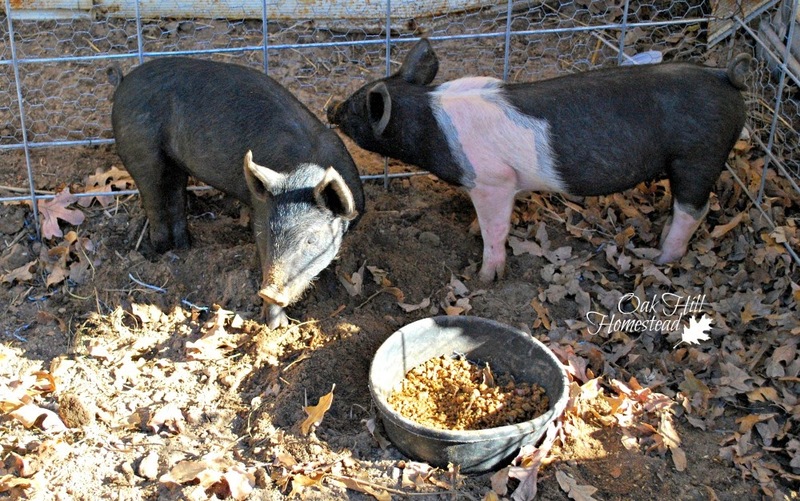 What a great rundown of animals for the small homestead! We really want to add a couple of goats and a couple of sheep to the farm, mostly for keeping land cleared down. We'll be doing meat chickens this year as well! Goats and sheep are both excellent land clearers and mowers, Lacey. They'll really help you out. That's a really good list with basic pros and cons! I'm not sure what we'll add to the homestead next. We've talked seriously about a steer for meat, sheep for fiber and/or meat, and goats for meat/milk, but I still don't know which we'll dive into first. I don't think anything new (other than more chicks) is coming to our homestead this year. A new human baby is enough for me! But I really do want to figure out what we'll add next so we can spend some time preparing for it throughout this year.